You may or may not know that I grew up in a family of cowboys. I spent the weekdays in the city and the weekends at my grandpa’s ranch. Yep – horses, cowboy boots, and cowboy hats wear a big part of my childhood and they filled some of the sweetest memories. So believe it or not, I do have a total soft spot for Rustic Wedding Dresses that are charming yet sophisticated. 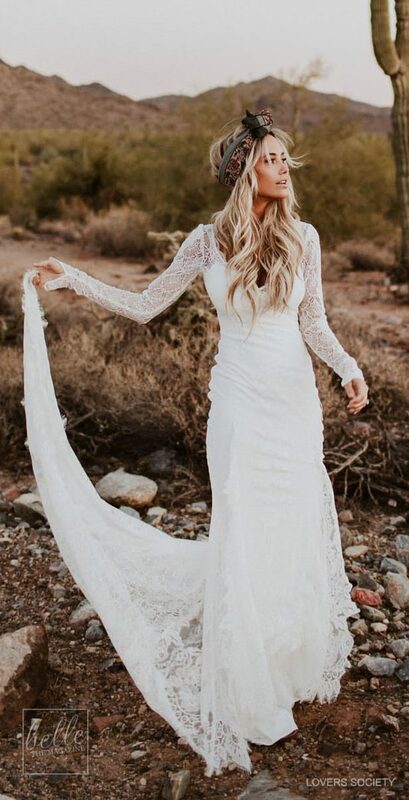 If you, like me, are a cowgirl at heart, you may be looking for a bridal gown that blends in seamlessly with your surroundings, a gown that will look at peace with Mother Nature. Whether your wedding is in a barn, church, or garden, on top of a mountain, or at a vineyard or ranch, you would like to say yes to a dress that has that features laidback elegance you are looking for. Simplicity is the key to that organic, yet feminine look. 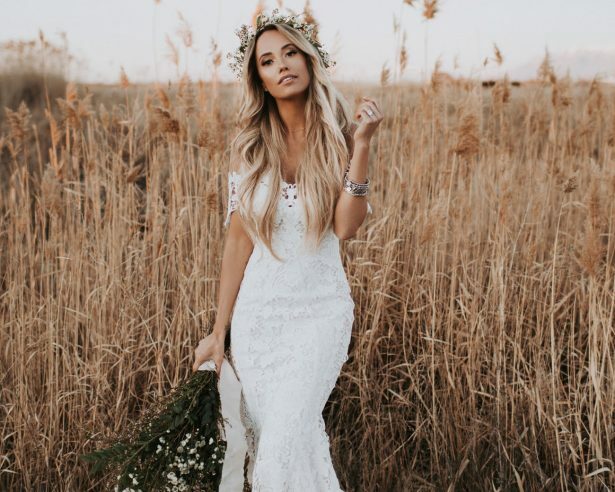 So, today I am bringing you some of my favorite Rustic Wedding Dresses for the Sophisticated Bride courtesy of our friends at Wedding Dress Guide.